An innovative, Government-funded, public private partnership on the Isle of Wight is delivering real results for the otherwise insoluble problem of a decaying highways infrastructure. The country is now firmly in the teeth of the annual “pothole season” when the yawning gaps in local council highways budgets reverberate through the long-suffering suspensions of motor vehicles across the United Kingdom. But on the Isle of Wight, where just over five years ago the highway network was found by a national survey to be the worst in the country, the story is rather different. And whisper it quietly, but the solution has arrived in the shape of a Private Finance Initiative. Yes, Private. Finance. Initiative: the three words that currently evoke more Pavlovian vitriol from the left than Jacob, Rees and Mogg, are responsible for an astounding transformation of a road network that had crumbled as a consequence of years of underfunding. The statistics since the Isle of Wight Highways Improvement Partnership began in 2013 are impressive. More than 400 kilometres of the Island’s roads have been resurfaced – and in some cases rebuilt too – and the entire street lighting network has been updated with more than 12,000 energy and money-saving LED lamps now illuminating the vastly improved street-scene. Major engineering schemes have anchored sections of some of the Island’s most historically unstable stretches of road, long-standing issues of highway flooding have been addressed, two thirds of parking machines have been renewed, (with the rest to follow) and street furniture across the network has been upgraded as have countless traffic signals, road signs, bollards and road studs. The Highways Improvement Partnership also requires this upgraded road network to be maintained to the high levels defined in an arrangement that was agreed with near unanimity by a Conservative-run Isle of Wight Council in 2012. There are other economic benefits too. The work is underpinned by a grant of £260 million (at 2013 prices) – agreed by the then Coalition Government – and the contract is delivered by an operating company, Island Roads, that has a supply chain including over 150 Island companies which has pumped an estimated £54 million into the local economy. The project provides work for more than 200 people and an apprenticeship scheme that was recently feted by the Island Chamber of Commerce has given 14 young Islanders a step up towards a career in engineering or business administration and management. 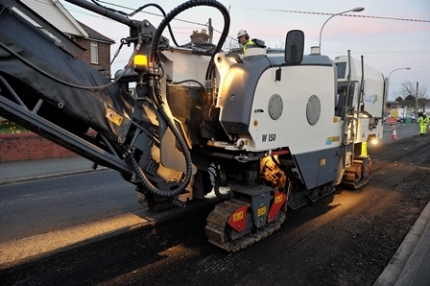 Under the project contract, the network is being maintained at an enhanced level and more efficiently too as Island Roads has combined operations previously supplied by seven entities into just one. These efficiencies save the Isle of Wight Council an estimated £1 million a year, or around £5 million since the project began. The contract also gives the authority financial certainty as we know what our liabilities and financial contributions will be each year we set the budget. Crucially the authority has not just effectively outsourced the highways services, it has outsourced the risks too. So, when – as happened in 2015 – a key bridge spanning a strategic route was found to be failing, the cost of the strengthening project was borne not by the council, but by Island Roads. Similarly, all pothole claims – and these have reduced markedly since 2013 – are now made against Island Roads, not against the council. It has taken the Isle of Wight Council’s new Conservative administration, elected last year, finally to extol the virtues of a project that is providing Isle of Wight road users with the high-quality highways for which they yearned (resident surveys regularly highlighted the condition of roads the number one concern) and Isle of Wight council taxpayers, value for money. Our Council Leader, Cllr Dave Stewart, and the Transport Portfolio Holder, Cllr Ian Ward, are giving strong and consistent messages about the benefits this Partnership brings not only for residents using the roads, but for potential investors in the Island’s economy, an economy that we’re determined to grow to create the varied and skilled jobs sought by the next generation of islanders. We can only speculate why the previous chaotic Independent administration (2013-2017 – which ultimately collapsed with the political equivalent of a hissy-fit, riven with internal divisions) sought to frustrate rather than celebrate the Partnership in the face of all the positive benefits. Perhaps, behind this effrontery lay a determination to undermine the decision – any decision – of the Conservative administration which preceded them. There was also a latent ideological distrust of the PPP model seeping through, given the left-leaning nature of many of the self-styled independents. And given both the vague promises of the shadow chancellor in respect of ‘taking back’ PFI contracts and more recently the failure of Carillion, the anti-PFI rhetoric has been refreshed. But therein lies a problem for the Left and those of a Left leaning. Just as the Left cannot accept that parts of the NHS are not perfect, neither can they accept that some PFIs – such as that which is mending the Isle of Wight’s roads – work very well. If petulant politics was used to obscure the clear and obvious benefits of our local road improvement project which would be the envy of pretty much every other local authority, then it is a shame. The current Conservative administration believes a good local council should be led not by dogma but by the principles of sound local governance, and value-for-money. The Island’s Highways Improvement Partnership is a clear success in terms of delivering a huge and much-needed infrastructure project. But in doing so, it sends a further message which is vital to the Island’s renaissance: the Isle of Wight Council is a trustworthy partner for potential large investors and the Island is a place that is open for business.